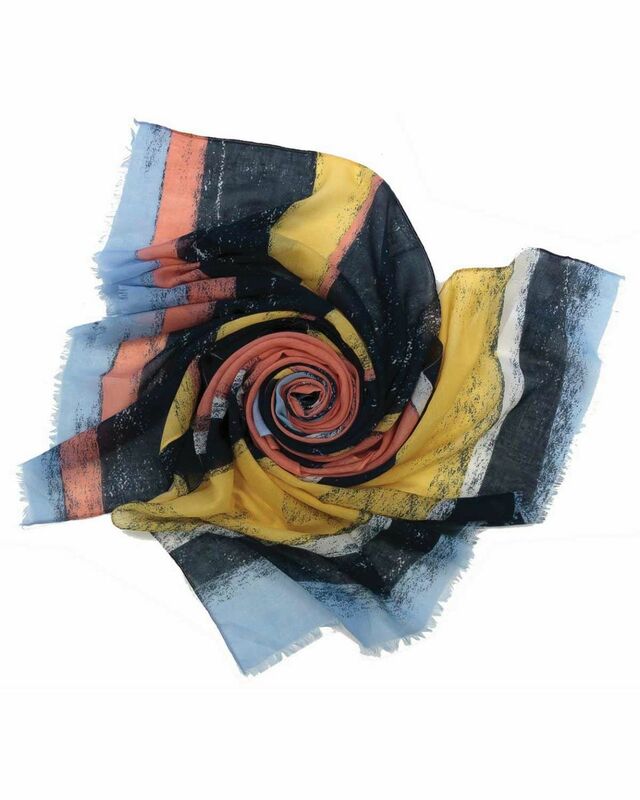 Ladies Colour Block Stripe Scarf. Approx size 180cm x 90cm. Blocks of colour in a stripe design in navy, pale blue, mimosa and coral. 100% Viscose. You will love this scarf season in and season out. Approx. size 180cm x 90cm.